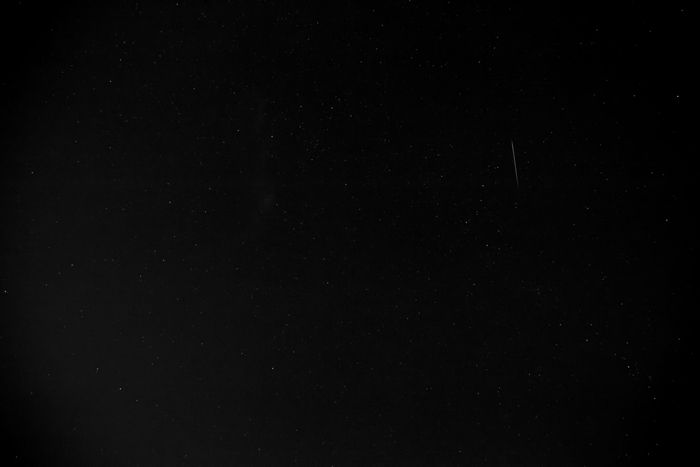 In this photo, a lone meteor can be seen during the Perseid Meteor Shower on Saturday, August 11, 2012. This photo was taken at the Indiana Dunes National Lakeshore in Miller Beach. Check out other astrological photos, including the 2012 transit of Venus and the May 2012 solar eclipse! Perseid Meteor Shower, August 2012 by Joey B. Lax-Salinas is licensed under a Creative Commons Attribution-NonCommercial-NoDerivs 3.0 Unported License. Permissions beyond the scope of this license may be available at http://www.joeyblsphotography.com.